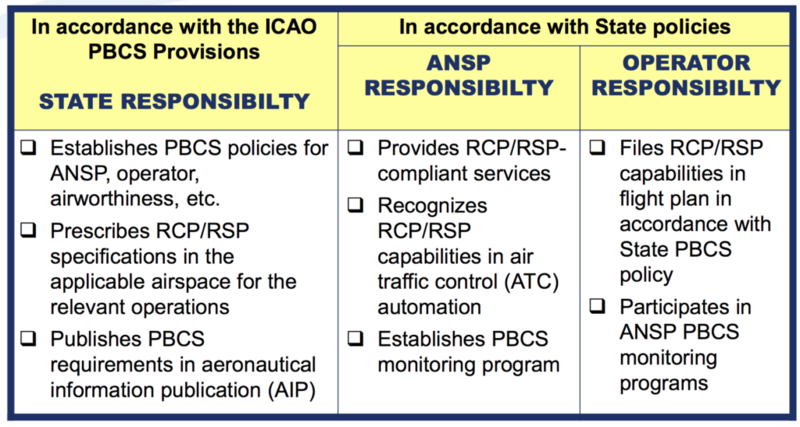 In Short: The performance-based communication and surveillance (PBCS) framework allows for higher safety standards and more efficient airspace use. If your aircraft already has the equipment and you cross the Atlantic or Pacific Oceans often, it’s worth looking into getting your regulatory approval. PB… what? It’s a good question. We have so many acronyms in aviation, it’s easy to forget what this one stands for and what it really means. So, let’s try and get to the bottom of it. The ICAO performance-based communication and surveillance (PBCS) framework ensures that emerging technologies for communication and surveillance fully support ATM operations and are implemented and operated safely. 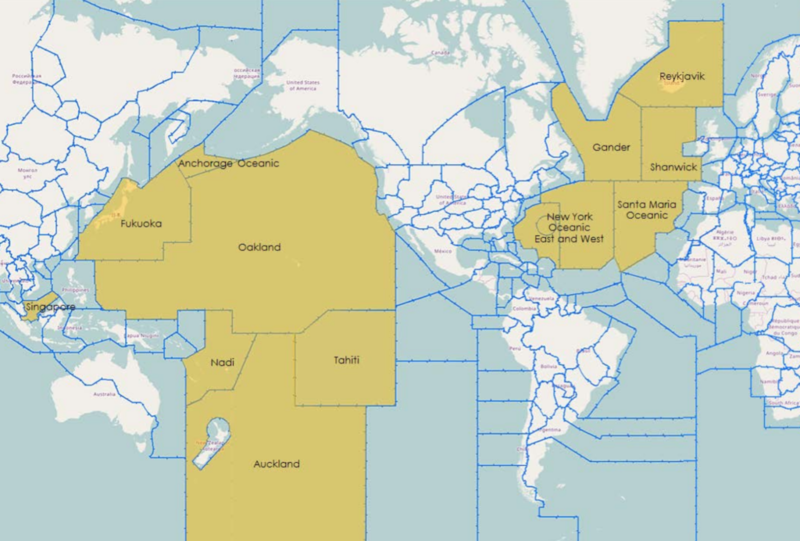 With the technology already available on many aircraft and in the Air Traffic Control facility, aircraft can now fly closer than ever before, especially over non-radar oceanic airspace. There are two key buzz words, so let’s define them. They are interlinked with RNP – Required Navigation Performance. 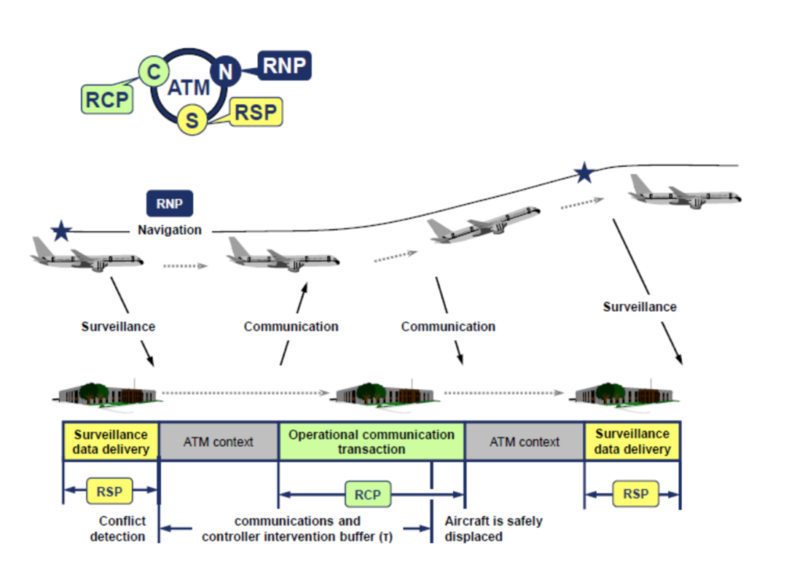 RSP – Required Surveillance Officially known as “surveillance data delivery”, often stipulated in the Airplane Flight Manual. Basically, how often does the aircraft send its position to ATC/ground station. There are two specifications, RSP180 and RSP400. The numbers indicate the maximum number of seconds (180 or 400) for the transaction to occur. RCP – Required Communication ICAO has two specifications, RCP240 and RCP400. Again, the numbers indicate the maximum number of seconds (240 or 400), or “transaction time” taken for the controller to issue an instruction to the crew and for them to receive a response. This could be via CPDLC, HFDL, VDL or SATCOM. So, we have a loop here, C-N-S. Communication, Navigation and Surveillance. 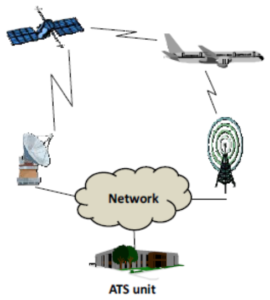 An aircraft sends surveillance information to ATC about where it is; the aircraft stays within confines of RNP navigation requirements and ATC communicates with the aircraft within the required transaction times. Pretty easy! But why do we need PBCS? The take away? 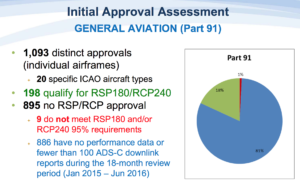 If all given aircraft in a certain airspace have a lower RSP value and a lower RCP value, we can start putting these aircraft closer together. Essentially – performance-based separation minima. This allows aircraft to be separated safely according to technological capability rather than “one-size-fits-all” prescriptive distances. What are the differences from PBN? They are similar but there are notable differences. In a simple sense, the PBN (RNP/RNAV) only requires that the operator obtains approval because it focuses on how the equipment works. PBCS (RSP/RCP) however requires the involvement and approval of the air traffic service provider because it’s a two-way communication and surveillance effort. There are dependencies and complexity with the equipment standards on both ends. Where is it in place? The Air Traffic Service providers of China, Brazil and Indonesia have also shown interest to introduce PBCS in the future. Specifically, PBCS is being used between FL350 and 390 on certain “half” NAT tracks as we have written about before. Requirements vary from state-to-state on the exact procedure for obtaining approval. It’s important to note that not all aircraft are automatically PBCS ready (refer to your aircraft manufacturer and your airplane flight manual). The FAA has outlined its approval process here and has a handy powerpoint document here. An important element is to prove that you have signed the “PBCS Global Charter” which can be found at the FANS Central Reporting Agency (CRA) website. When a PBCS authorization is obtained an operator is required to file both P2 (indicating RCP240) in item 10 and SUR/RSP180 in item 18 of the flight plan, in addition to the J codes for CPDLC and D1 or G1 for ADS-C in item 10. The correct filing of these two codes will indicate to any ATM ground systems applying performance-based separation minima that the aircraft is eligible for these minima and that the crew have received the relevant training in order to safely operate using the reduced separations. Will you notice that PBCS standards are being applied to your flight? Ok this is the funny part of this story. The short answer, probably not. While it may be easier for RCP240/RSP180 approved aircraft to obtain optimal flight profiles, especially during high traffic periods, and particularly for NAT flights using the OTS, the application of these standards is generally tactical in nature for ATC. 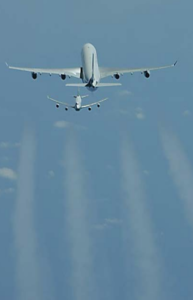 An aircraft may not have performance-based separation applied at all on an individual flight, or possibly may never have had it applied to any of its flights. Even if a you have RCP240/RSP180 approvals, if the aircraft nearby does not also have the approvals, the separation standards cannot be applied! What if I don’t have RCP240 and RSP180 approval? If you do not have RCP240/RSP180 approvals you will always have the larger separations, e.g. 10-min, applied, and not be eligible for the lower standards in cases where it may be beneficial. The only airspace that has implemented tracks that will require PBCS to file is in the NAT OTS. There are still non-PBCS tracks in the OTS for which PBCS approvals are not required. All other airspace in which performance-based separation minima are currently applied will allow aircraft with and without RCP240 and RSP180 approvals to enter and use the airspace in a mixed-mode operation. Will I be penalized if I don’t have it? Probably not in the short term. In the future as more and more airspace corridors become PBCS only, then it is possible you may be subject to reroutes, delays or the requirement to fly outside of certain flight levels. PBCS is a great step forward in maximizing efficiency in a busier airspace environment thanks to the advent of better technology. If you fly the NATs often and have an aircraft capable of PBCS certification standards, then yes – do it! The approval process is not overly burdensome, and many modern transatlantic jets already meet most of the technical requirements. Ultimately, reduced separation standards mean more great air-to-air views. So, pack your camera! 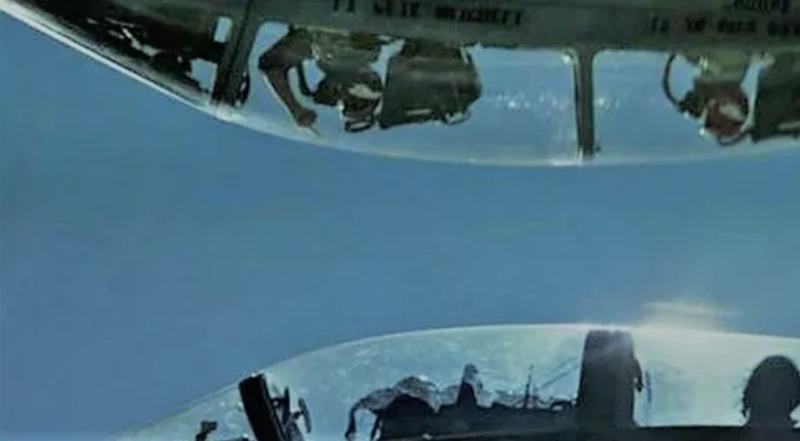 You were in a 4G inverted dive with a Mig 28? -Yes, ma’am. -At what range? -Um, about two meters. -Eh, lieutenant, what were you doing there? -Communicating. Keeping up foreign relations. Did we miss something, or does something need more explaining? Let us know!